Young Africans are changing the face of conservation and the Ymke Warren Memorial Gorilla Conservation Award is dedicated to helping the best early career researchers. 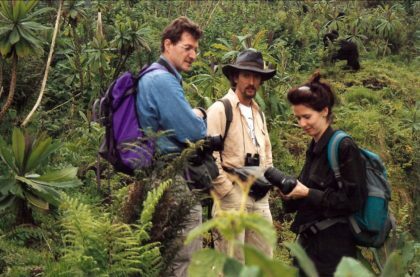 Dr Ymke Warren was an internationally respected primatologist who died in tragic circumstances at her home in Cameroon in 2010. 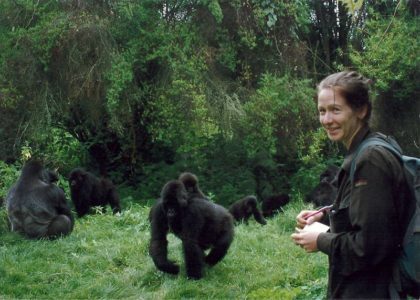 She began her career as a volunteer with The Gorilla Organization, and her family and friends established a fund in her memory to assist promising young African conservationists. 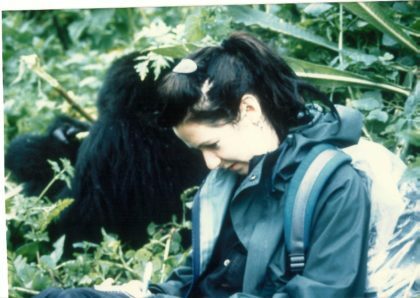 Ymke’s first experience of conservation fieldwork was with chimpanzees in the Bwindi Impenetrable Forest in Uganda, and her growing interest in mountain gorillas then led to a research position at the Karisoke Research Centre in Rwanda in 1994. After five years in Rwanda, she returned to the UK to study for her Ph.D. For her thesis, she studied olive babboons in the Gashaka-Gumti National Park in Nigeria. From 2003 she worked in Cameroon, studying the critically endangered Cross River gorilla, which had been thought extinct until the 1980s, and campaigning for its protection. Today, fewer than 300 Cross River gorillas exist, in a small area on the Nigeria-Cameroon border in west Africa. The Ymke Warren Memorial Gorilla Conservation Award was established to fund promising young African primatologists. The Gorilla Organization awards this £750 grant annually for fieldwork that contributes to our understanding of and/or conservation of wild gorillas and other great apes. To be eligible to apply you should be an early career gorilla or great ape researcher from a gorilla range state country. Applications are now open for the 2019/2020 Award. The deadline for applications is 31st July 2019 and the winner will be announced on World Gorilla Day (24th September). The grant recipient will be expected to provide updates on their project throughout the year and a formal report on completion. For more information, contact the Awards team at info@gorillas.org or download the Application Form on our Resources page.